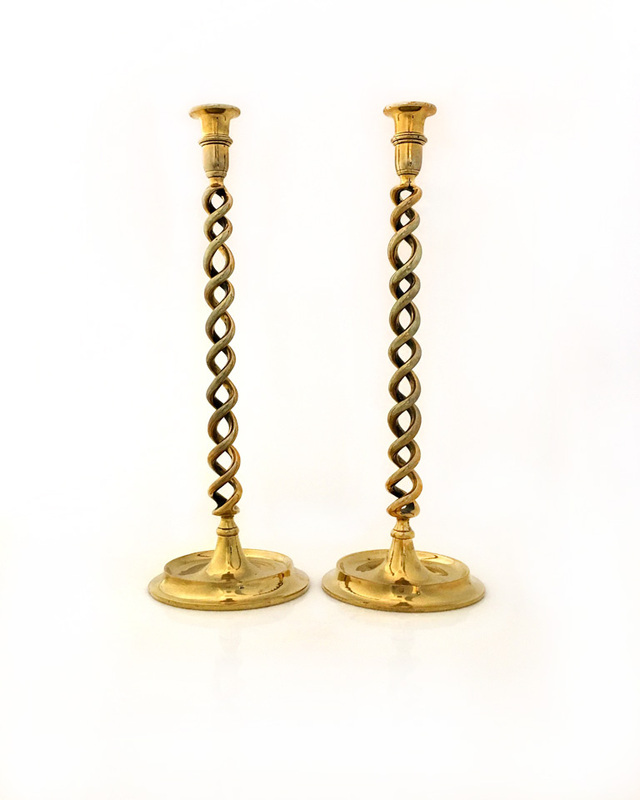 Pair of 19th Century Tall English Brass Barley Twist Candlesticks. 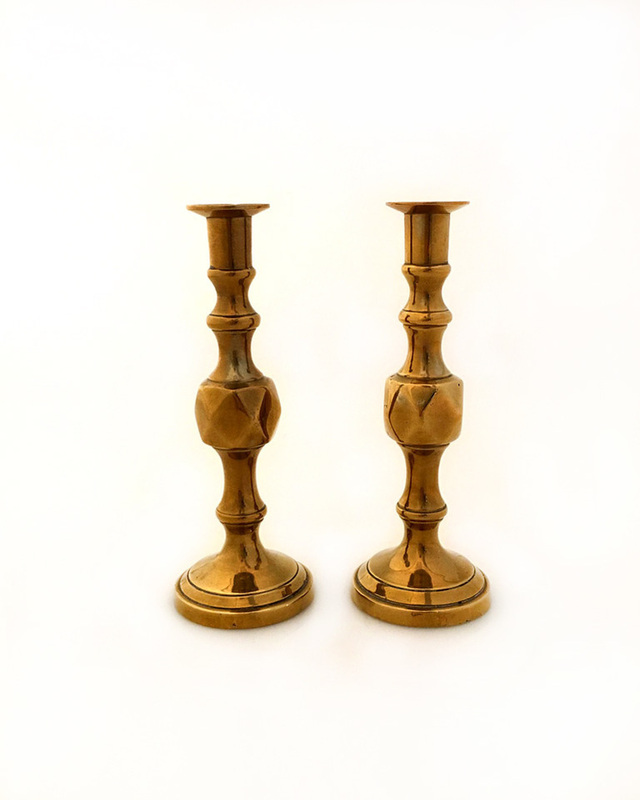 Pair of 19th Century English Victorian Brass Candlesticks. 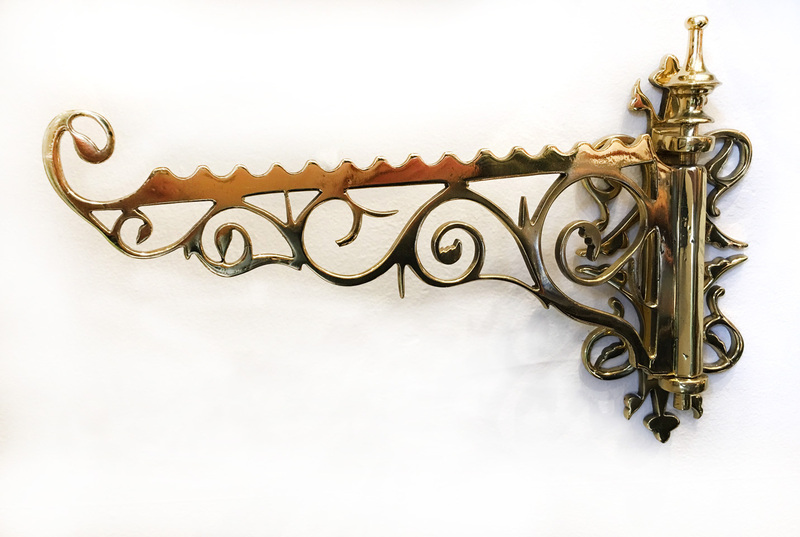 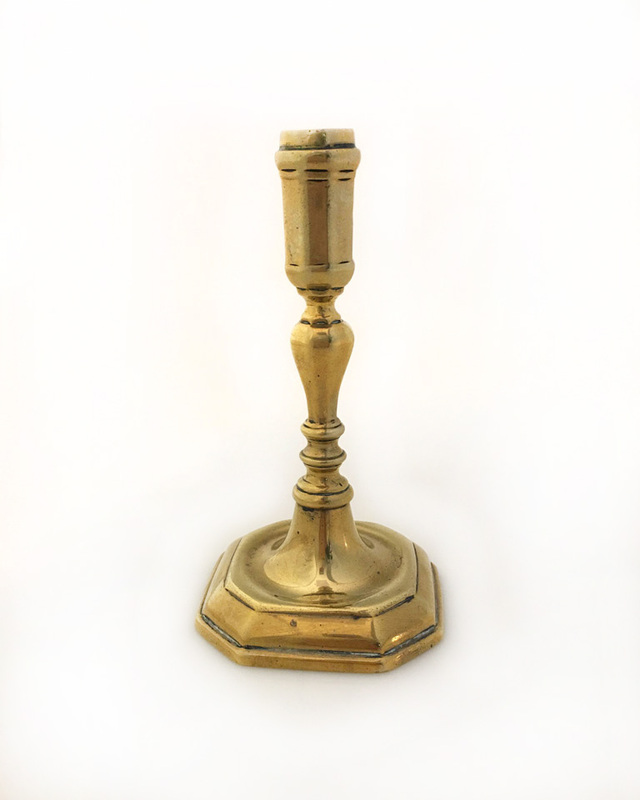 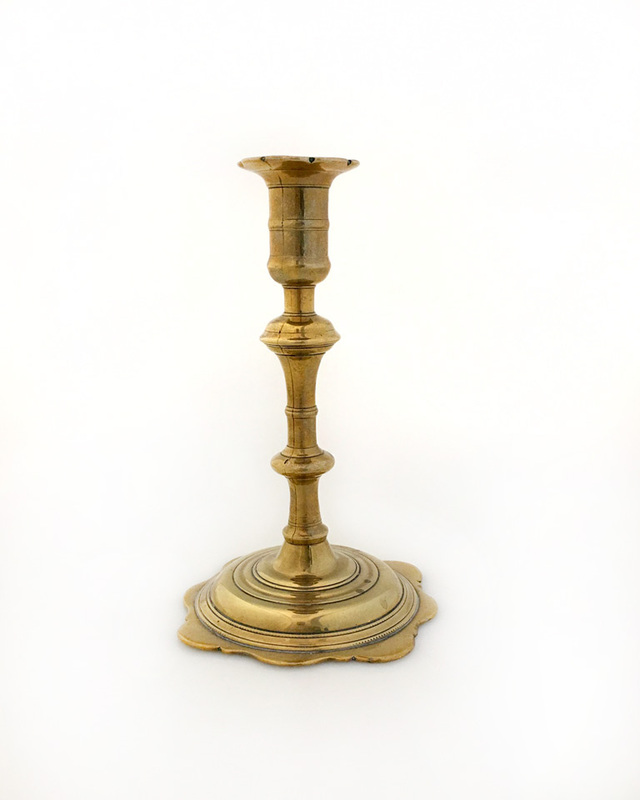 Mid-18th Century French Brass Candlestick. 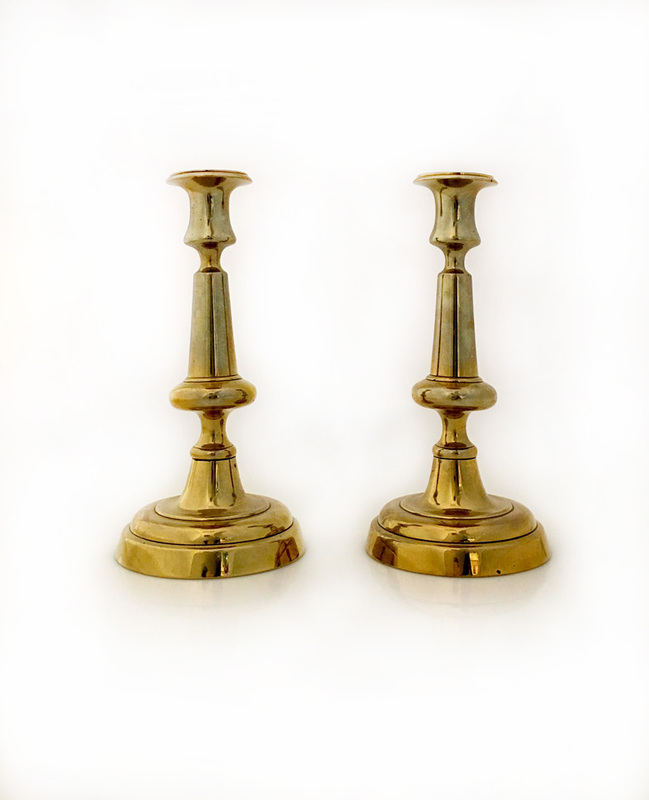 Pair of 19th Century English Brass Candlesticks. 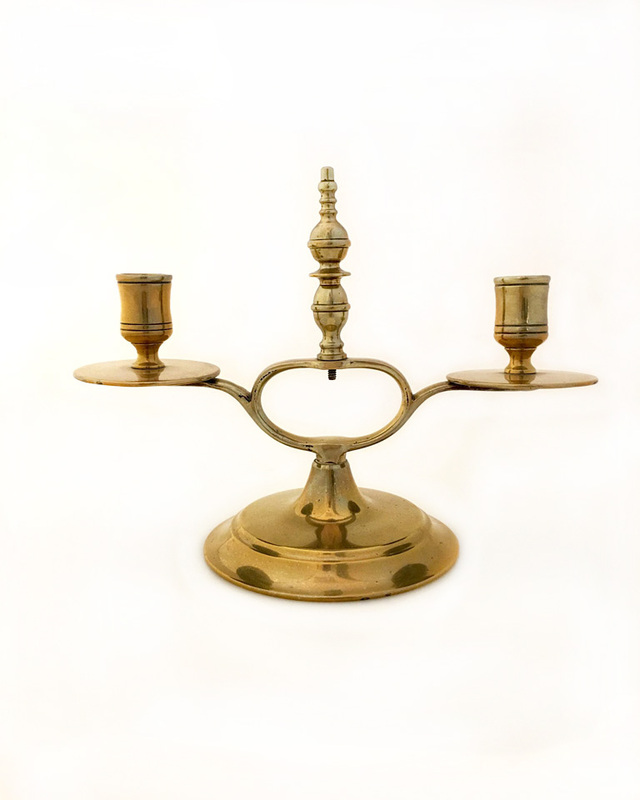 Mid 19th Century Victorian Brass two-light Candelabra. 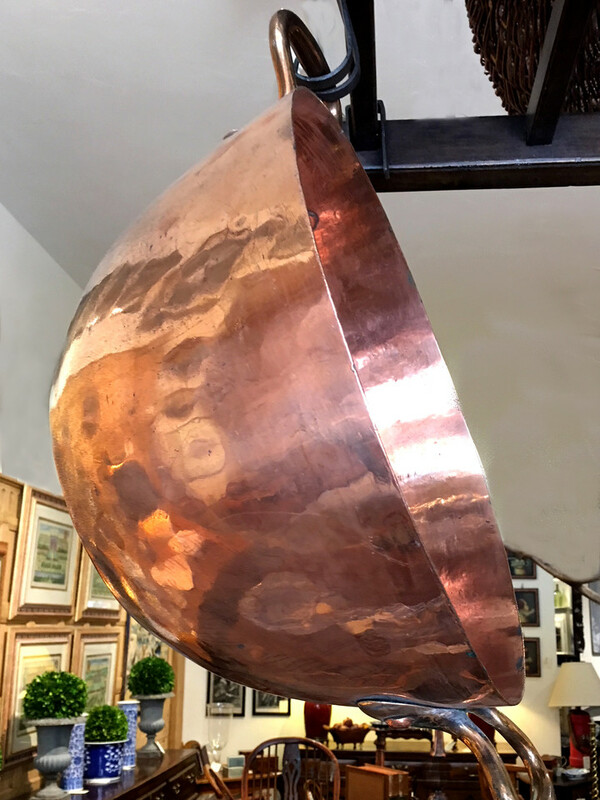 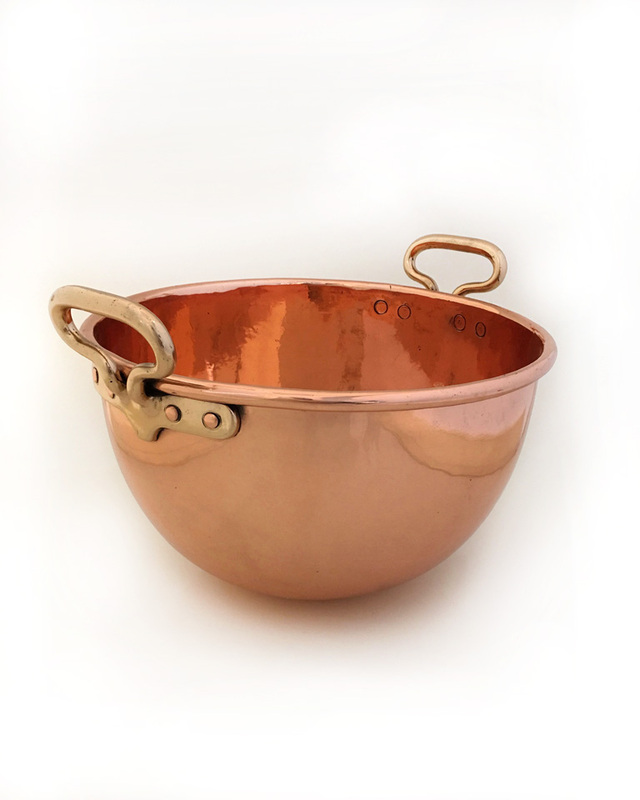 Large Early 19th Century French Copper Bowl used for making souffles. 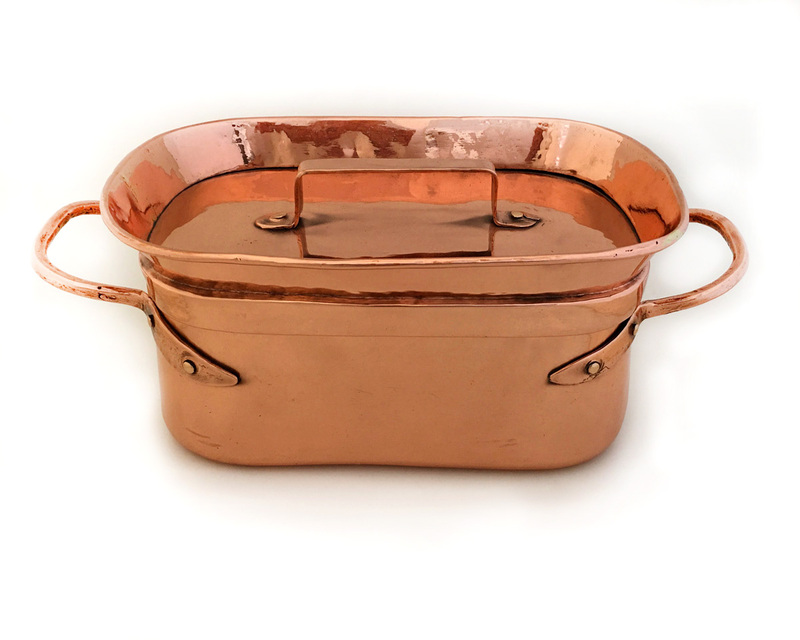 Professionally polished. 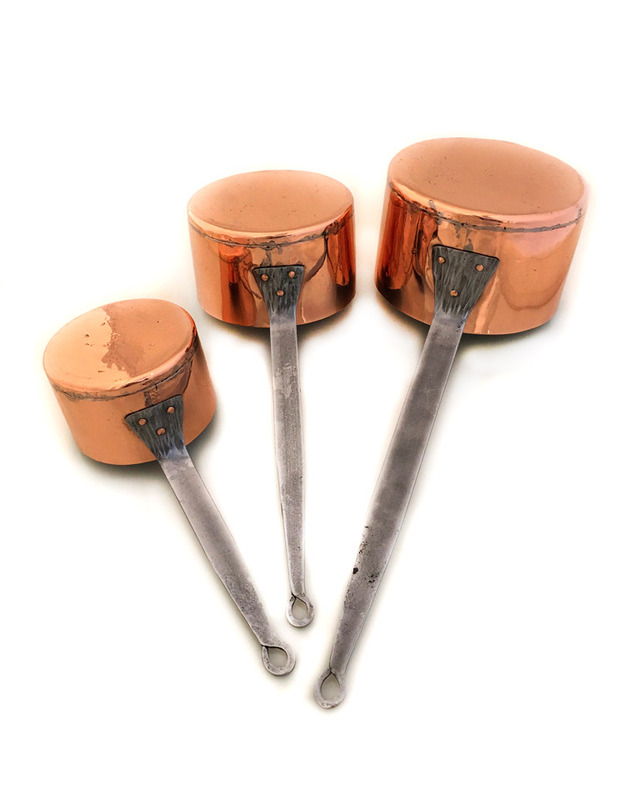 Set of three early 19th Century French Copper Pans. 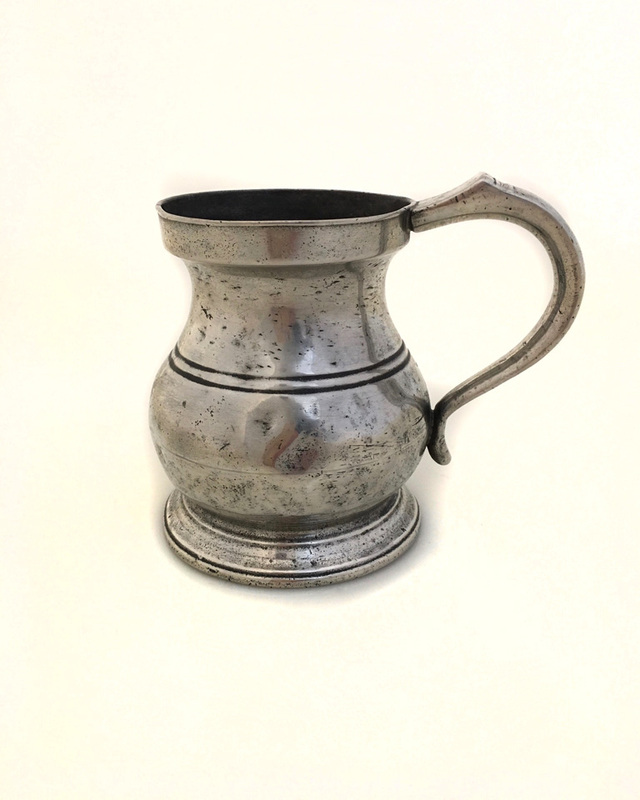 Professionally polished. 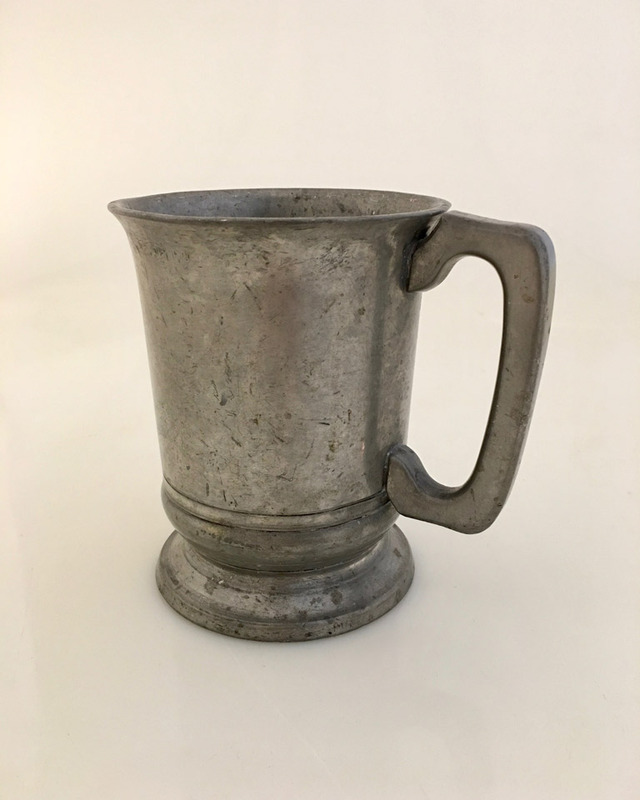 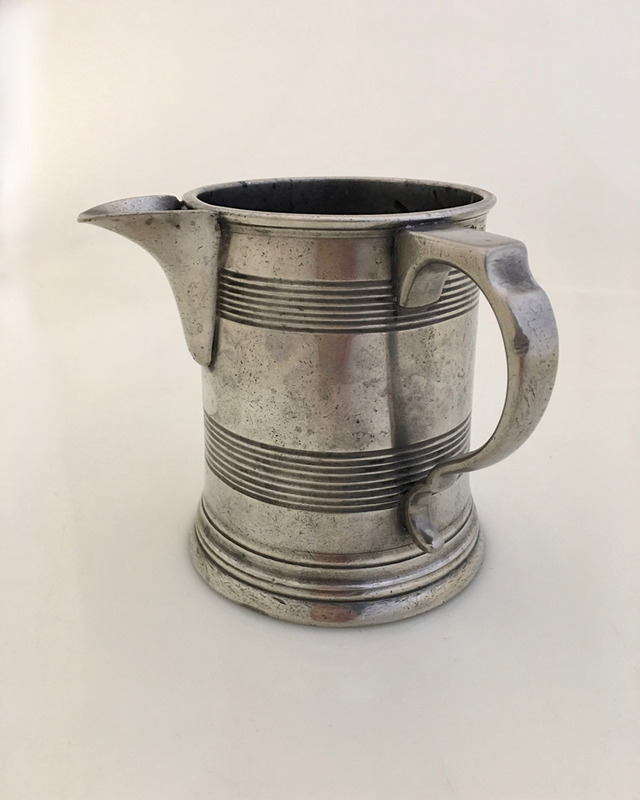 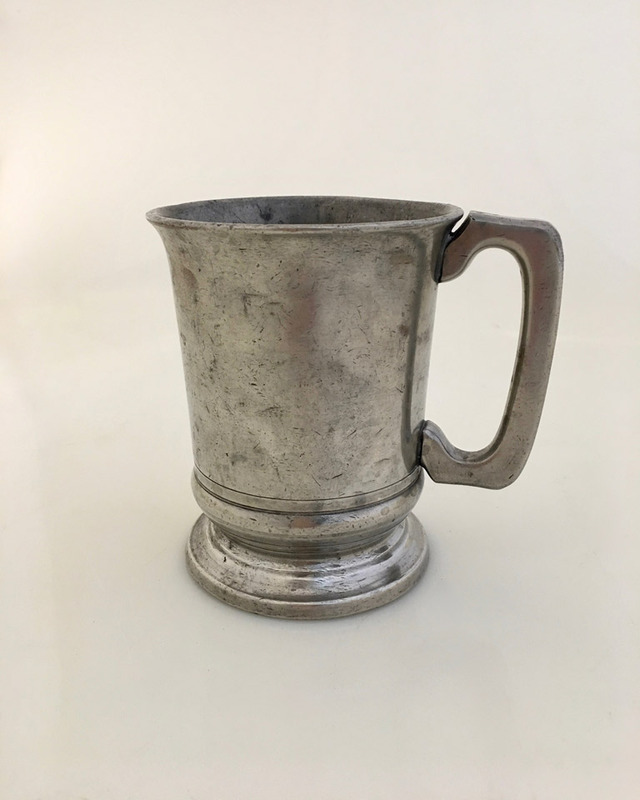 19th Century Tulip Shaped Pewter Tankard. 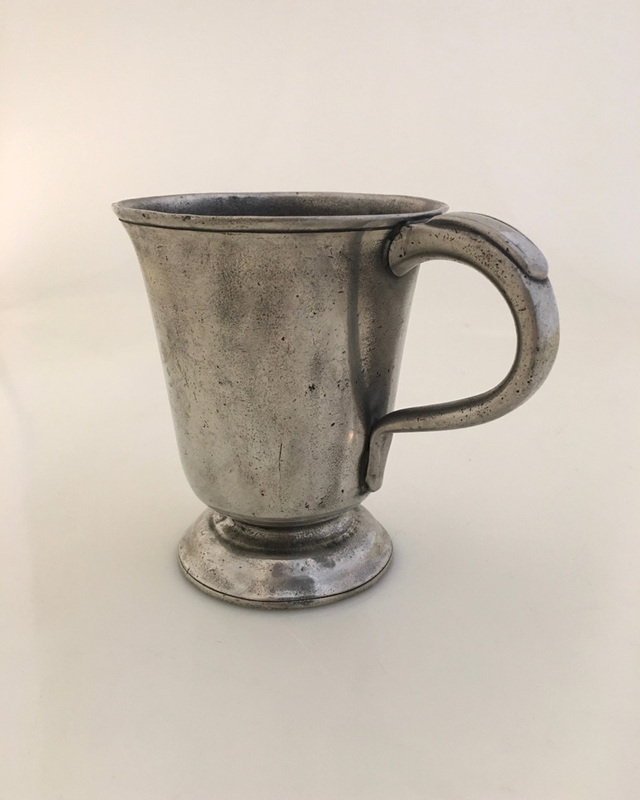 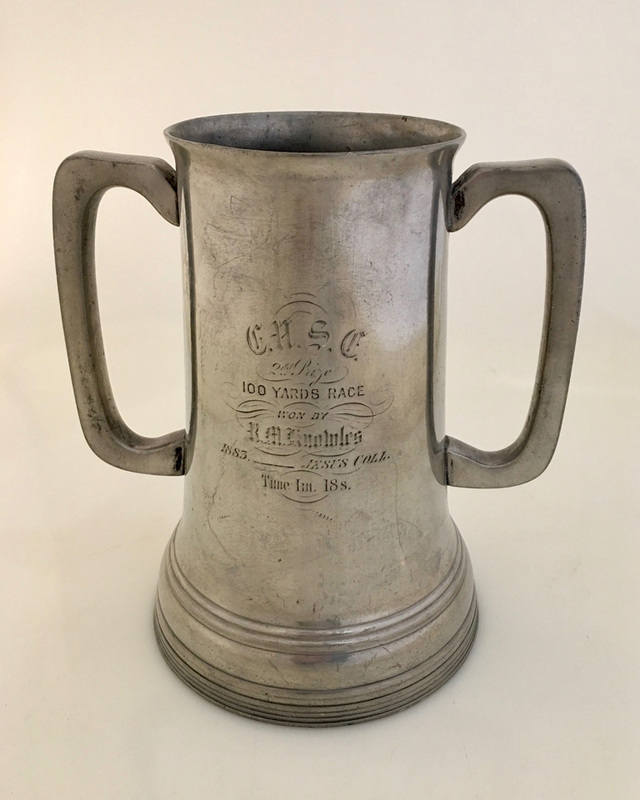 19th Century English Pewter Loving Cup from Jesus College at Cambridge University. 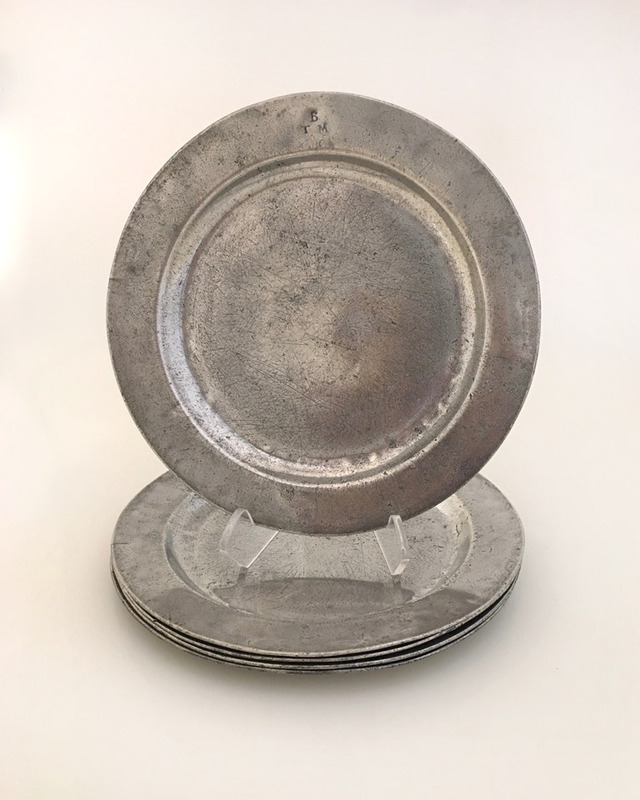 Set of five English Antique Pewter Plates. 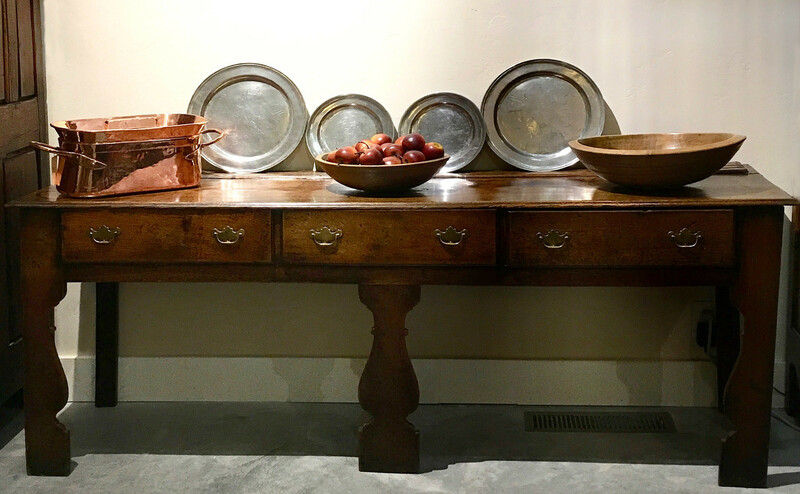 Fine London touch marks. 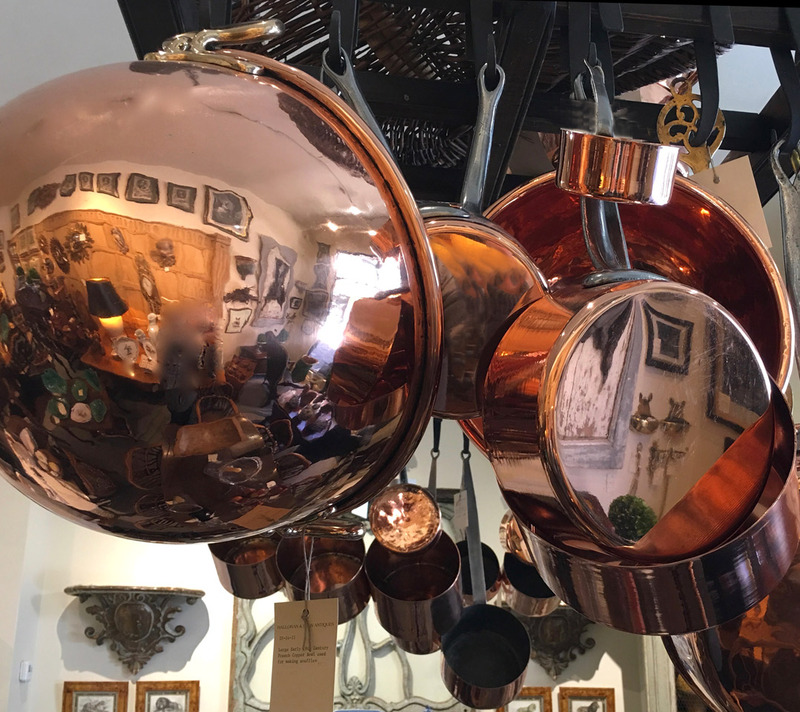 Owner's initials on each plate.